Traditionally, most light fixtures come in a circular or oval shape. Perhaps because of the idea that light comes from a globular source like the sun, we’re attracted to light that comes in that particular shape. However, current trends are showing a growing popularity and move towards square shaped LED light fixtures. These lend a very structured, cool and masculine feel to a space, and they always stand out no matter where you place them. Additionally, square shaped LED light fixtures come in all types of colours, materials and variations, and are a great way to mix it up when decorating your home. For more ideas on how to incorporate square LED lighting to your home, read on. This type of square shaped LED light fixture comes with a cutting edge LED driver, and is optimised for durability and eco-friendly efficiency. It makes for a calming light fixture for the bedroom area, and has a soft brilliance that’s gentle on the eyes and senses, making it easy to transition to a restful state. You can have it custom designed with gold-plated or crystal edges for a more sophisticated look. Available in sizes from 5 to 8 metres, this type of LED light fixture is usually affixed to the ceiling, and completely floods the space with evenly distributed light. When properly constructed and installed, this light is long-lasting and durable, providing you with years of reliable lighting for your home. It’s typically available in warm white and white colours, and is very gentle on the eyes, which makes ideal for spaces like the bedroom, living room, kitchen and bathroom. This bright ceiling spotlight fixture with a chrome finish comes with four branded SMD LED GU10 bulbs which, at 3 watts, are very energy efficient. The lights are adjustable, so that you may focus them on a particular area as you prefer, or you could spread the light out by adjusting them to face in opposite directions. It’s a great LED light fixture to have in the kitchen or at a dining room or living space. Square shaped chandeliers are definitely an in-thing right now, and there’s no better way to adapt the trend than with super-efficient LED light bulbs. Online stores like sonicaled.com have seen a rise in super-efficient led light bulbs, and most of their customers are now converting from halogen to LED. You can either have mini bulbs dotted and carefully arranged throughout the edges and inside of the chandelier piece, or have one LED bulb sheltered inside a translucent square shaped chandelier to create the illusion of a light that glows from within. Whatever your style, this type of suspended square shaped LED light fixture can be a real talking point, and is suitable for a glamorous dining or living room arrangement. This stylish and modern pendant light design comes with an LED bulb on the inside which gives life to the 3D dice look. These often come in threes, and look great when suspended above a chic marble kitchen island, or an eclectic living room space. You can paint the pendants any colour you like, with some even painting them a different colour on the inside than they are on the outside, to create a mysterious and modish look. 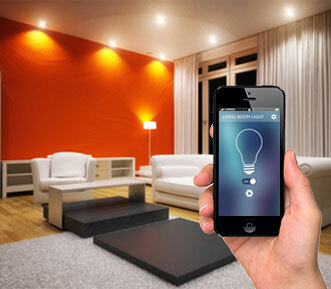 In this article we talked about indoor led lighting. There’s also a full range of outdoor led lighting for your garden. For example these LED Flodlights https://www.sonicaled.com/outdoor-led-lighting.html are all waterproof. So you do not need to worry about electric shocks or anything dangerous. Make sure they come with a warranty and have been adequately tested. You can find the information on the product’s box itself. If in doubt, you can ask your local electrician for advice.